If you’re on the lookout for an online casino to sign up to and to make the most out of your limited gameplay time, consider ShadowBet in your search. This mysterious and intriguing online casino claims to reach out to the “chosen ones”, or anyone looking to “feel free and extraordinary”. 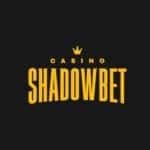 So if you’re looking to step out of everyday life and immerse yourself in a unique and unusual online casino experience, there’s no better place to do so than at ShadowBet. ShadowBet opened its doors in 2016 and caters for players in the UK, USA, Spain, France and Denmark, to name a few. Signing up to this mysterious world of gameplay will guarantee hours of fun-filled gameplay, thanks to the appealing array of slots, table games and live casino games. If the welcome bonus isn’t enough to draw you into the darkness, the multitude of quality games certainly will. 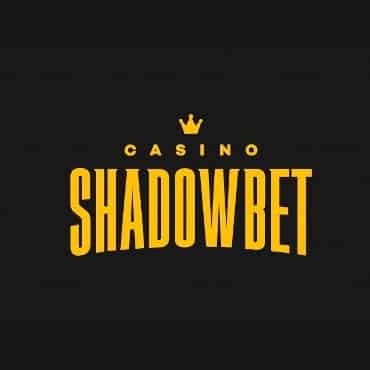 Continue reading through our detailed review of ShadowBet, to uncover more about the fascinating online casino and what awaits you as a new member. Join many others who have been lured in to ShadowBet, by the incredible variety of online casinos games on offer. With over 1000 games ranging from creative slots to thrilling table games and immersive live casino games, you’ll find it hard to lose interest when playing online with ShadowBet. ShadowBet aims to provide fun, thrills and excitement from the moment their potential players and loyal members land on the website. The dark and almost eerie theme grabs your attention, much like some of the best horror films do! What’s more, the simple user journey makes it incredibly easier to get sucked further into ShadowBet’s alternative world. Slots hold the vast majority of games available on the ShadowBet site. You will find a creative mix of high-quality slots made available from reputable developers in the industry. A small selection of live casino games can also be found on ShadowBet, as can an even smaller number of table games. The site seems very up to date with the latest game launches, so we would expect their variety to improve over time. ShadowBet holds a license and is regulated by the Malta Gaming Authority and the UK Gambling Commission. Alongside their SSL encryption and responsible gaming policies, you couldn’t expect much more safety and security when playing with an online casino like ShadowBet. Slots are a particular favourite amongst the online gaming community, and ShadowBet certainly delivers in this area. Hosting games from the best developers in the industry (including NetEnt and NextGen Gaming), their slots section is bursting with hundreds of themed slots, from the likes of Wonder Woman: Bullets & Bracelets and Starburst, to Blood Suckers and Burning Desire. Whatever theme you prefer, you’ll find it within ShadowBet’s slots selection. The site’s table games selection has much less variety than that of its slots offering. This is something the site could look to improve on in the near future, but as it stands, you’ll find plenty of blackjack, as well as roulette and pontoon. Things look a little better over on the live casino games front, with plenty of blackjack, baccarat and roulette to get stuck into. If ShadowBet plans to engage with unique and extraordinary individuals as stated on their website, we would encourage them to improve certain areas of their game variety to help them stand out from the crowd. That being said, their current variety offers some very high-quality games, something not to turn your nose up at, which is why we have given their game variety four stars out of five. Despite the overall mysterious feel to the website, ShadowBet’s banking options are kept fairly simple and straightforward. You will be able to deposit and withdraw money from your account, using many popular payment methods. These methods include Visa, Mastercard, Neteller, Trustly, Euteller, Skrill and Bank Transfer, to name a few. There’s are minimum deposit and a maximum deposit limit associated with each payment method – these amounts differ depending on the type of payment method you’re using. The same goes for minimum and maximum withdrawals too. There is also a 2.5% fee with every withdrawal made, which might be slightly off-putting for some. Processing times can take up to 7 days, depending on the payment method you choose to use. ShadowBet’s banking options are fairly standard when considering other online casinos in the industry, putting the 2.5% fee aside. You can find plenty more information about the payment methods over on the ShadowBet website, down at the bottom of the homepage, under the information heading. All thoughts of the withdrawal fees will be forgotten when you cast your eyes over the bonuses and promotions on offer at ShadowBet. Both new members and loyal players can reap the rewards of ShadowBet’s various promotional offers, something which will encourage you to sign up and continue playing with ShadowBet for the foreseeable. New members can enjoy 100 extra spins on their first deposit, as well as 100% of their second deposit added on, for deposits of up to £100. So if you deposit £100, you’ll get an extra £100 to use on the various ShadowBet games! There’s also 10 extra spins available every Wednesday, and you can also earn extra rewards the more slots you play over time! Seasonal promotions are added to the site every now and then, giving members even more to make the most out of! If members are ever in a pickle and need to speak to a member of the ShadowBet team, there are a couple of options available. A live chat service is available Monday to Friday, from 6am to 8pm UTC, as well as Saturdays and Sundays from 8am to 6pm UTC. There’s also an email address available for anyone with queries that don’t need to be answered straight away. Although the ShadowBet team are extremely friendly, professional and approachable, we would recommend that the live chat hours are extended and that a phone number is also made available to members who might need help straight away. ShadowBet offers a rather unique gaming experience compared to the themes of other online casinos. Whilst others might opt for a bright, fun and quirky appearance, ShadowBet opts for a dark and mysterious feel. We quite like the feel of ShadowBet – it offers something a little different for anyone looking to escape the stresses and strains of everyday life and dive into an unusual underground world for an hour here and there. The site is very easy to navigate, with promotions easily visible as well as the games menu on the left. ShadowBet’s responsible gaming policies can also be found towards the bottom of the homepage, as can various other pages that you might need as a member. ShadowBet is available to use on mobile devices, so you can creep into the darkness on the go! You’ll always feel safe and secure when playing in the shadows, thanks to the website’s SSL certificate – know that your financial and other private information can be safely entered on ShadowBet. Although there is certainly some room for improvement on the ShadowBet site (as with many other online casinos), we can’t help but be intrigued by its unusual offering compared to the rest of the online casino sphere. Players will certainly have a fun and a thrilling experience with ShadowBet, so why not step into the dark side today?